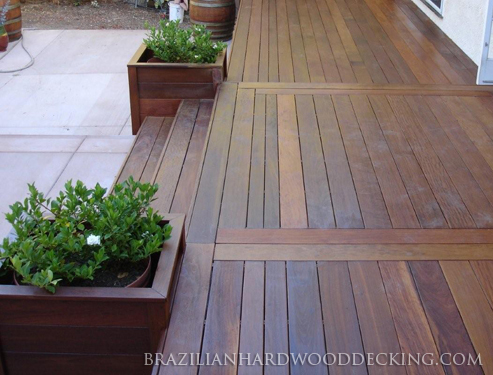 Brazilian decking is world renowned for its genuine strength, natural mold resistance, & elegant appearance. When you choose us as your supplier, you also benefit from affordable pricing, and one-one-one customer service with someone who knows how to install, and maintain this wonderful decking material. Brazilian hardwoods naturally resist mold, decay, & termites - no chemicals needed! Take advantage of our special Brazilian hardwood decking prices on Tigerwood, Cumaru, Ipe, and Garapa. With mill-to-job-site shipping your order of premium grade Brazilian hardwood decking will get to you fast. Save more, get more, enjoy life more on a deck made of Brazilian Hardwood.